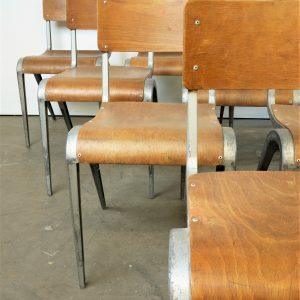 Set of eight 1960’s vintage rare blue frame James Leonard Esavian ESA stacking dining chairs. We are big fans of the ESA story and are surprised that it has not had more visibility in the UK. 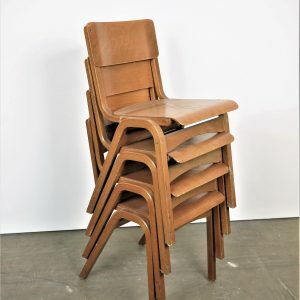 ESA was a wonderful British company running in the 50’s and 60’s which pioneered the introduction of good quality well designed furniture principally into schools. James Leonard was the main designer and he championed good design, utilitarian in form and function. We have never seen this model version before, they are in excellent condition with very dark brown/black Bakelite seats and backs. The colour is a slightly textured blue metallic, very rare. 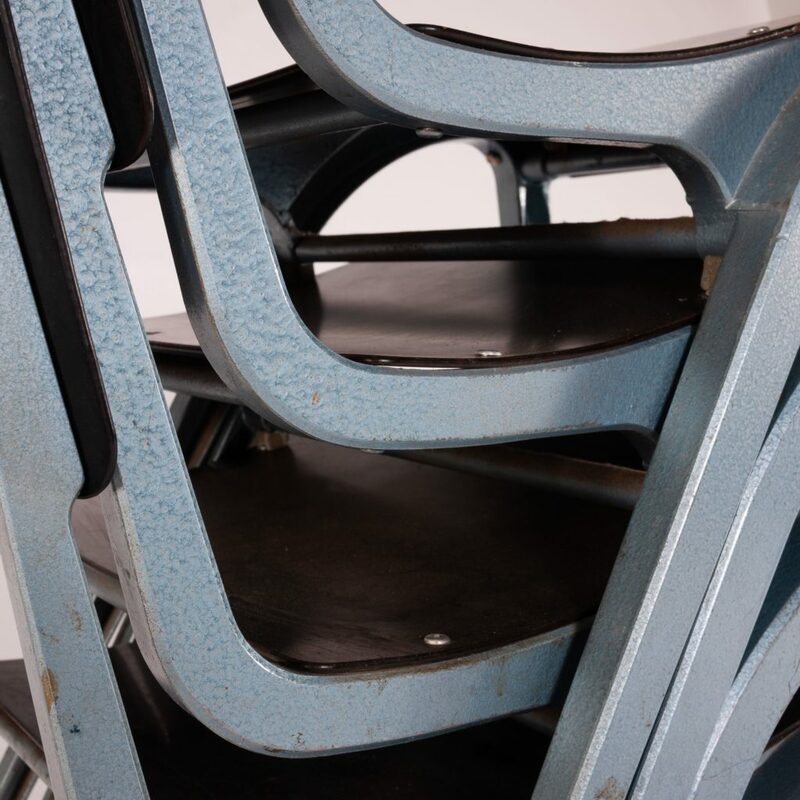 We have a number of these chairs available and are selling them in any multiple required, sets of four, six, eight or simply in singles (�90). In our view James Leonard is the unsung hero of British Post War design. His ESA company transformed the design led fit out of schools in the post war period but his legacy is hardly known. 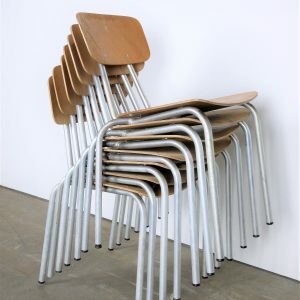 Snap up these chairs whilst they are still affordable. We service and wax each chair individually before they leave our workshop and we deliver chairs of excellent quality. If you do require photographs of the exact chairs that you will receive please let us know and we will arrange photographs. We specialise in high quality vintage dining chairs and have a large range. We only sell the very best chairs in great condition with rich colour and patina, please see the other dining chairs we have listed and please contact us for more details or advice. We are also undertaking a research mission to record and celebrate the design of James Leonard and welcome input and support from fellow afficiandos! Seat Height 45cm.